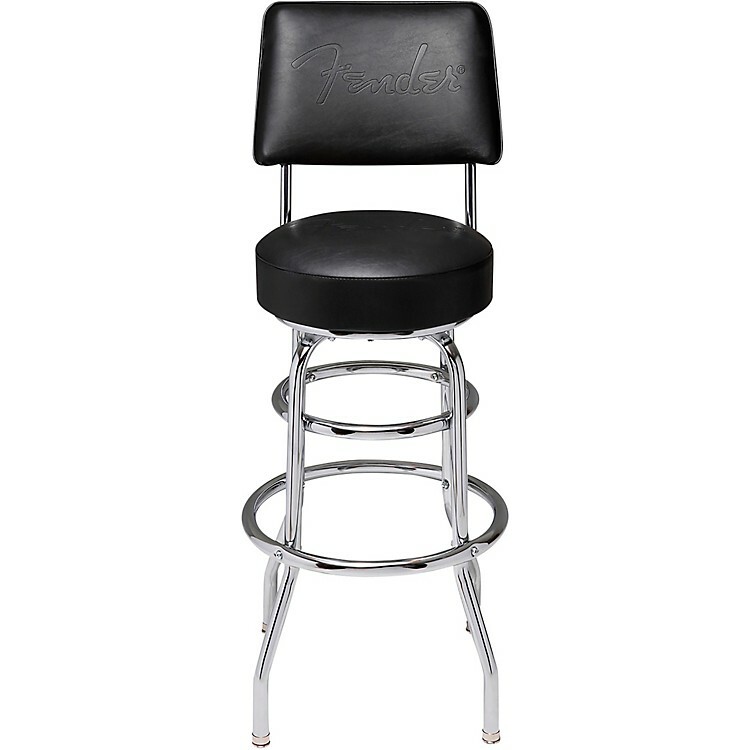 Fender Backrest Barstool 30 in. Classic styling meets modern comfort. The Fender Backrest Barstool is as comfortable as it is stylish, ensuring good posture during those long practice sessions. Its classic good looks feature a chrome-plated finish and a Fender logo, making it a great fit in any decor. Order today to reduce fatigue and practice in comfort and style.